GIVE RAMSEY A TRY – YOU WILL BE GLAD YOU DID! 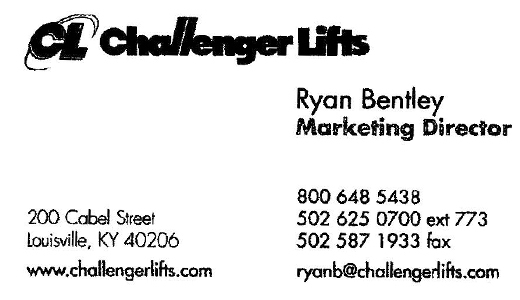 http://www.challengerlifts.com – Versymmetric® Car Lifts provide the benefits of asymmetric and symmetric only lifts in one design. With Challenger Lifts CL10series you do not need 2 automotive lifts or 2 service bays to lift the top 20 selling vehicles. The heavy duty columns and arms of Versymmetric® lifts are engineered to accommodate virtually all vehicles. Ramsey is a full service automotive and industrial equipment company. From the smallest to the largest, Ramsey can handle it all.